In part due to Wladimir Klitschko finally being dethroned after over a decade, Tyson Fury has firmly taken centre stage within the heavyweight divison. Of course his antics and madcap personality contribute to his place in the limelight too. Should Anthony Joshua win against Charles Martin this Saturday at the O2 though, he'll be positioning himself as a real pretender to the throne. At 15 wins from 15 fights and a 100% knockout record since his professional debut in 2013, Joshua hasn't put a foot wrong so far and he'll be hoping to keep that run going. He already holds the British and Commonwealth heavyweight titles and will be looking to add the IBF World heavyweight title to his collection. Current odds for a Joshua win are an understandably short 1/5. On first glance Charles Martin does have a good record and an enviable knock out percentage but it goes without saying that he's never fought anyone in Joshua's league. In fact it's hard to take anything from his record that suggests he's truly 'earned' his position as the current IBF World heavyweight title (a title left vacant when Tyson Fury decided against defending it against mandatory challenger, Vyacheslav Glazkov). With the combined record of 36 knockouts out of 39 fights between the pair it seems unlikely to me that this will go the distance, so while the odds for that eventuality look generous on the surface, in reality they are probably about right (7-1 for a Anthony Joshua win by decision or technical decision, and 22-1 for Charles Martin). 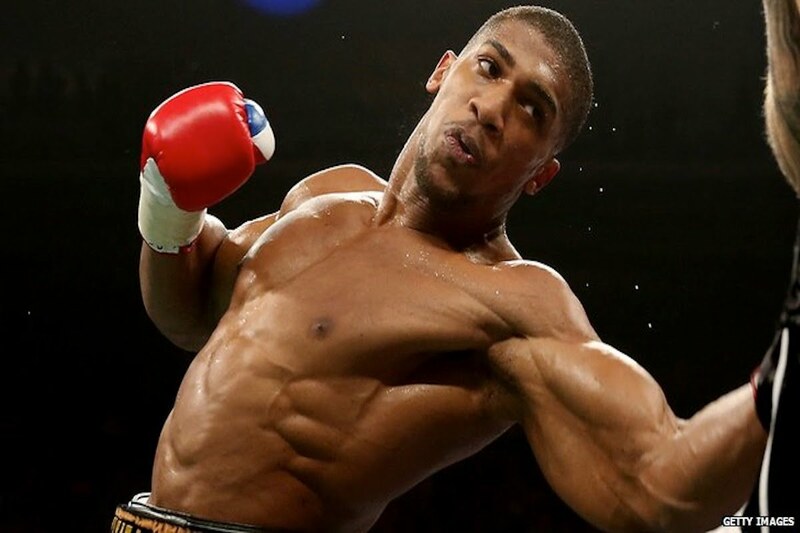 With little value for a Joshua win and not much better for a Joshua KO or TKO (1/3) I'd be tempted to look to round betting and go for Joshua win in Under 5.5 rounds (at 8/11 with several bookmakers). It's a risky bet in some ways, but I think his strength will prove to be far too much for Martin and in my estimation that will start to tell very early on in the fight. It all hinges on him getting the job done fast and his professional record so far suggests that's certainly well within his capabilities. Should Joshua dispatch of Martin and Fury beat Klischko in their July 9th Manchester Arena rematch too, I'm sure we'll be hearing calls for a Joshua vs Fury match up before we know it. It would be one of the most exciting match-ups in years. Beyond that it's possible that one of the two will even be able to unify the heavyweight division - a division that's suddenly looking very lively for a change. It's about time too!